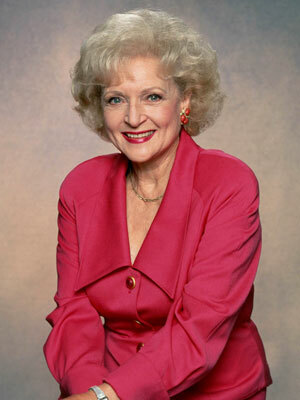 PASADENA, Calif., Jan. 5, 2011 /PRNewswire/ — TV Land celebrates Betty White’s 89th birthday by giving stars and fans the opportunity to honor everyone’s golden girl with birthday wishes and personal video messages via a birthday card that is on the “Hot in Cleveland” Facebook page. Join superstars Tina Fey, Joel McHale, Taylor Swift, Kathie Lee Gifford, Hoda Kotb, Kristin Chenoweth, Jessica Walter and more along with fans around the world in wishing the incomparable Betty White a happy birthday. Visitors are invited to “Like” the page and post their messages and video birthday well wishes alongside their favorite celebrities including Betty’s “Hot” co-stars Valerie Bertinelli, Wendie Malick and Jane Leeves. The birthday card will be presented to Ms. White at her TV Land birthday bash happening in New York City on January 18th, and a compilation of messages will be available for all to see on TVLand.com. White, who celebrates her 89th birthday on January 17th, is one of television’s most beloved and talented actresses with a career that has spanned over 60 years. The Emmy® Award winning actress is best known for her roles in the classic sitcom “The Mary Tyler Moore Show” and the beloved series “The Golden Girls.” She has also guest-starred on a number of television programs including “Ally McBeal,” ‘The Ellen DeGeneres Show,” “That 70s Show” and won an Emmy® in 1996 for Outstanding Guest Actress in a Comedy Series, appearing as herself on a memorable episode of “The John Laroquette Show.” White had a recurring role in ABC’s “Boston Legal” from 2005 to 2008 as the calculating, blackmailing gossip-monger Catherine Piper, a role she originally portrayed as a guest star on “The Practice” in 2004. Most recently, she appeared in the 2009 major motion picture, “The Proposal” with Sandra Bullock and Ryan Reynolds. In January 2010, White was honored with the Screen Actors Guild Life Achievement Award and in August, the actress was awarded an Emmy® for Outstanding Guest Actress in a Comedy for her much-talked about stint hosting “Saturday Night Live.” White was also recently nominated for a Screen Actors Guild® Award for Outstanding Performance by a Female Actor in a Comedy Series. The second season of “Hot in Cleveland” premieres January 19, 2011 at 10PM ET/PT on TV Land and revolves around three fabulous best friends from Los Angeles – novelist Melanie Moretti (Valerie Bertinelli), eye-brow archer to the stars Joy Scroggs (Jane Leeves) and former soap star Victoria Chase (Wendie Malick) – who find their lives changed forever when their plane, headed for Paris, makes an unexpected landing. When the friends discover that life is better for them since they are hot in Cleveland, they decide to stay. Starting over together, they rent a house that happens to come with a very opinionated caretaker (Betty White). NOTE TO EDITORS: Please log onto www.tvlandpress.com for up-to-the-minute information, press releases and photos.